Our Spring CSA is 12 weeks of delivery for 2016: mid-April to end of June. 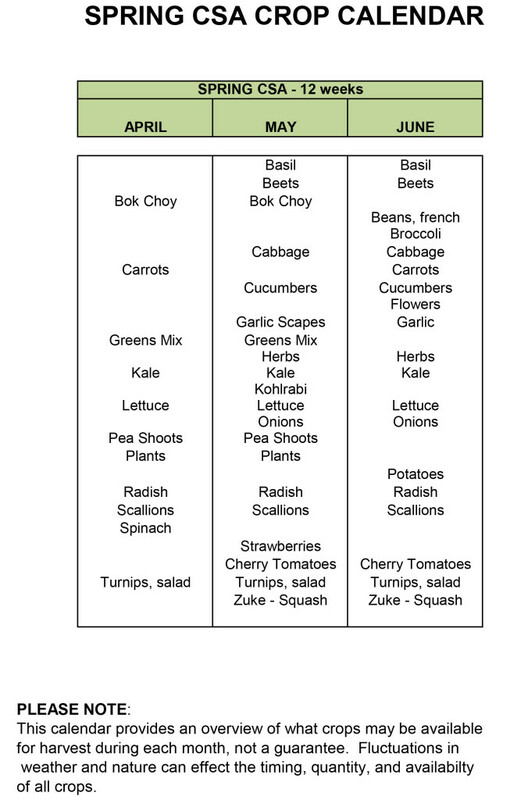 SIGNUP for the spring CSA! Each weekly share will include a variety of vegetables. We strive to provide 6-8 items weekly. Our goal is to provide lettuce each week along with our market favorite mixed greens. In addition to the salad greens, we try to balance the share with vegetables for cooking, raw munching, and herbs for flavor/garnish. 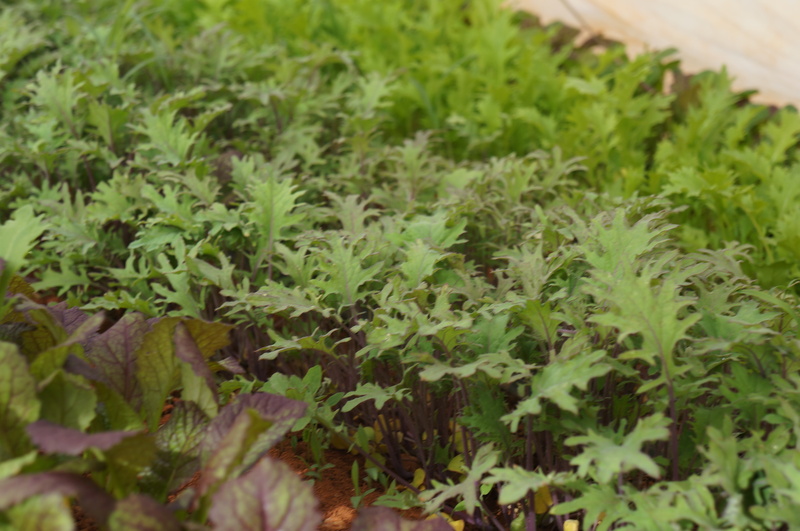 April starts with lettuces, greens, and roots like carrots, salad turnips, and radishes. In April, in addition to vegetables, shareholders receive a variety of potted plants with their share (herbs, flowers, tomatoes, and peppers). Our 3 hoophouses allow us to extend the season and bring you warmer weather crops like cucumbers, zucchini, and tomatoes early – generally by late May.